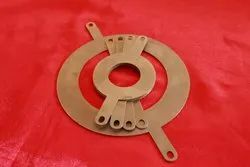 HEAVY DUTY OF CORONA GRINDING RINGS. Grounding Rings are used to suppress electrical interference at the installation location for electromagnetic flow meters. They are provided in pairs and are installed upstream and downstream of the flow meter. 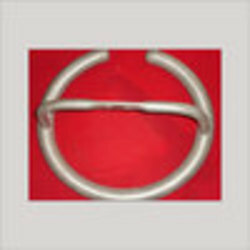 Grounding Rings are flat wafer-style rings designed to be installed between Flanges. Grate Bars, Pallet Wheel, Seal Bar, Axle Box, Wind Box, Pusher Rack, Pusher Pinion, Gear Blanks, Pinion, Wheel, Bevel Gear, Rope Pulley, Pinion, Bearing housing, Pump casing etc. - B&C, Monel*, Alloy 20, Titanium, Zirconium, even Tantalum-in both 150# and 300# ANSI rating.